171 sold, only 5 left! 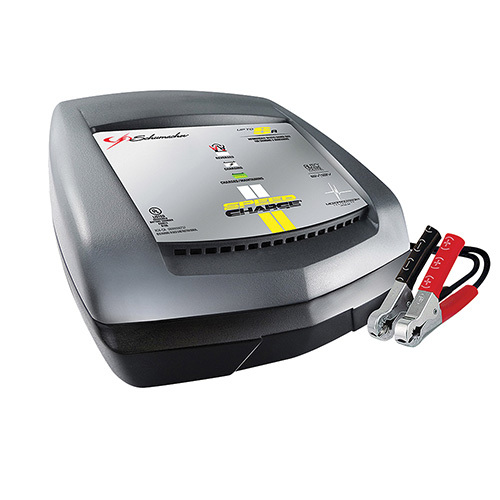 Schumacher 6/4/2-amp charger safely charges and maintains 6V and 12V batteries. Never have a dead battery again! Keep the car, truck, motorcycle, lawn tractor and other small to mid-sized equipment batteries fully charged and ready to go. Dimensions 10" x 9" x 5"